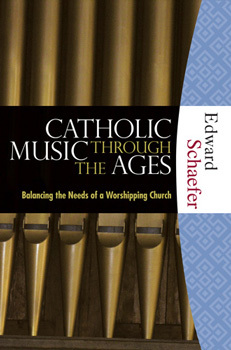 The Music of the Catholic Church traces the development of the Church’s music through the ages by placing the current liturgical musical landscape into proper historical context. By highlighting the common principles that the Church has used over time in addressing the expressive and formative dynamic of music, this work is able to present an informed discussion about the future so that the elements of spiritual solemnity, transcendence, and beauty will be maintained, along with the expressive nature of contemporary music. Also available as an e-book from Barnes and Noble Nook®,Google Play, Apple iBook, and Amzaon. Click here for more details. This title is part of the Hillenbrand Books imprint, Textbook series. Paperback, 6 x 9, 272 pages.